Infielder Jayson Nix was added to the Kansas City Royals' active roster for the World Series against San Francisco in place of rookie Christian Colon. The Oakland Athletics and Kansas City Royals have announced their 25-man rosters for Tuesday's wild-card game and since rosters can be changed before the Division Series, it's no surprise that both teams left several starting pitchers off their rosters. It took the Kansas City Royals 29 years to make it back to the postseason after they won the 1985 World Series. So it figures the guy they have to beat to advance to the ALDS is one who could be considered their ultimate kryptonite. 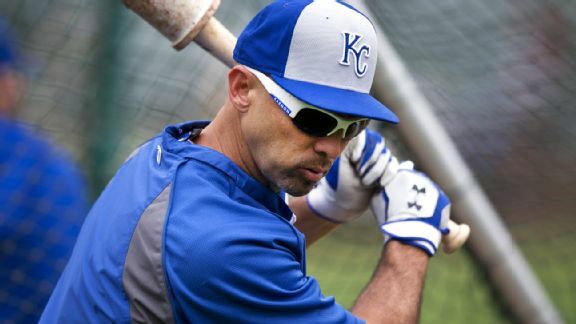 The Kansas City Royals claimed infielder Jayson Nix off waivers Thursday from the Pittsburgh Pirates. 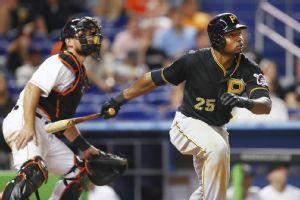 The Pittsburgh Pirates sent struggling rookie outfielder Gregory Polanco to Triple-A Indianapolis on Monday and recalled outfielder Jose Tabata. This is a big week for the Pittsburgh Pirates, perhaps even a defining week. Monday nights loss to the Atlanta Braves was their sixth straight. METS (16-17, fourth place/NL East) vs. PHILADELPHIA PHILLIES (15-18, fifth place/NL East)Friday: RHP Jenrry Mejia (3-0, 5.23) vs. RHP Roberto Hernandez (2-1, 4. METS (14-11, second place/NL East) at PHILADELPHIA PHILLIES (13-12, fourth place/NL East)Tuesday: LHP Jonathon Niese (1-2, 2.45) vs. LHP Cole Hamels (0-1, 3. The Philadelphia Phillies have acquired infielder Jayson Nix in a trade with the Tampa Bay Rays.